Angel doesn’t remember her magical heritage … but it remembers her. Magic and science collide when she embarks on a journey to her true home, and to herself. Angel doesn’t remember her magical heritage … but it remembers her. 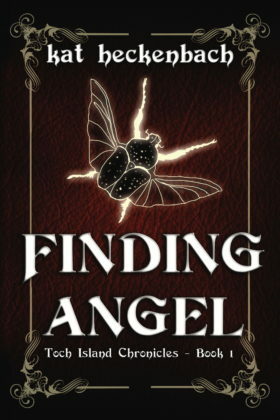 Angel lives with a loving foster family, but dreams of a land that exists only in the pages of a fantasy novel. Until she meets Gregor, whose magic Talent saves her life and revives lost memories. She follows Gregor to her homeland … a world unlike any she has imagined, where she travels a path of self-discovery that leads directly to her role in an ancient Prophecy … and to the madman who set her fate in motion. Book 1 of the Toch Island Chronicles series. Just wrapping up this book. I’m not as big into YA, but this one was great! Kat’s writing style reminds me of Madeleine L’Engle. A good YA book without any overt preaching, or references to God at all. Angel’s adventures on the secret island with its colony of magic-users is interesting, colorful, and kept me turning the pages. I have it on good authority that the sequel, Seeking Unseen, is even better! Great book! I enjoyed it as much as my teenagers did. I loved the world created by the author. I especially loved the allegory of Talents. We’re all unique. This is just a great book with a great theme and underlying message. I’d recommend it to anyone. Looking forward to the sequel!